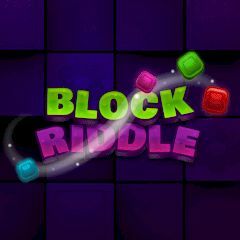 Block Riddle is an amazing game where you deal with colored blocks of different shapes. There is an empty area on the screen, where you must place all blocks from the bottom panel and complete the level. Some levels are simple, but when you play more, difficult levels with be available. Get stars and coins for completing levels and face a bonus level in the end of the stage.